Getting started with creating Practice Content at DataCamp for the first time, may feel overwhelming at first: what's the process you need to follow, what tools will you use, what are DataCamp's expectations? This article is where your on-boarding experience starts: the sections below refer you to a set of articles containing detailed written text and video's to get you started. Let's dive in! To get a good view of what the remaining 4 steps of the Practice content creation process entail, go to this article. GitHub to review the feedback on your work. Throughout the content creation process you will interact with your CL at various moments, regarding various topics. Depending on the topic, you will use a different channel. Both on GitHub and Asana, remember to always tag your CL using their GitHub or Asana handle; on both platforms you do this by including @user_name in our message. Your CL will open a GitHub issue to give you feedback on your content. you, on the other hand, will create a GitHub issue when you have a question our comment about your content. Using GitHub to communicate about your content ensures that all relevant information is available in the repository, even long after your work at DataCamp has been completed. Take a look at this short video on the various issue templates available in your GitHub repository, for you to use. 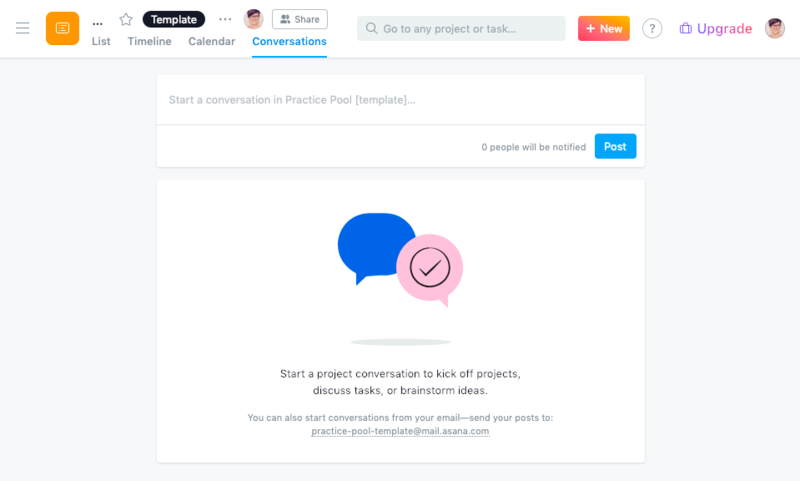 When you or your CL have a comment or question about a specific task, you will use the dedicated comment field in that Asana task. During your kick-off call, your CL will agree with you on a time slot for a weekly check-in call. This call is scheduled ideally right after your CL has provided feedback on your work for the chapter you have completed at that time. During the call you will discuss that feedback in detail, putting you in the position to implement that feedback efficiently. Your CL will create a calendar event that includes a link to the Zoom platform which you will use for these weekly check-ins, and share this event with you. Your Asana project will contain a due date for each task; this is the date by when you should complete this task. As many tasks depend on the completion of a previous task, having dedicated and transparent due dates allows all parties involved to plan their work accordingly. Read trough this article to understand what we expect from you regarding task due dates. Curriculum Leads each work with a large number of content creators at the same time, so it’s vitally important that the process is a fun one for the content creator and for us at DataCamp. We encourage you to not be a perfectionist but work hard to produce the best content you can. We’ll provide you with guidance, and we want to see your best work, but please keep in mind that content creation is a very iterative process and takes time and patience. Finally, if there is anything we can do to improve your experience, please let us know, and we'll do our best to correct course. You can contact us at practice@datacamp.com.